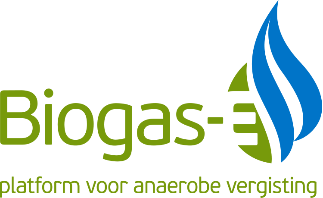 Inagro and Biogas-E are organizing a market consultation to provide an overview of suppliers of small-scale biogas plants to Flemish farmers. In Flanders there are already about 70 small-scale biogas plants (< 10 kWe) operational on agricultural farms for the processing of company-owned manure to renewable energy. The number of suppliers of small-scale biogas plants in Flanders is currently quite limited however. Inagro and Biogas-E are organizing a market consultation. The main goal is to provide a better link between interested parties and suppliers. The survey focusses on suppliers from all over Europe. Inagro and Biogas-E wish to provide an overview of suppliers of small-scale biogas plants to Flemish farmers. Although the supply in Flanders is limited, there are many manufacturers in neighboring countries. The objective is to map a number of core properties of the reactors so that farmers can quickly make a selection of the eligible suppliers. For example, the possible input flows, the electric power and the valorization routes of the biogas produced are questioned. Energy saving and the renewable energy production on farms are playing an important role in Flemish climate policy. Farmers can receive up to 47,000 euros in investment support for placing a small-scale digester (<10 kWe) on their farm. Digesters with a capacity over 10 kWe are awarded green electricity and cogeneration certificates. In addition, the Flemish Agricultural Investment Fund (VLIF) is again releasing 6.5 million euros for innovative projects on farms, which also include small-scale anaerobic digestion. Are you a supplier of installations for small scale biogas plants and do you wish to be included in the brochure? Then fill in the questionnaire through one of the following links. The survey is available in English, French, Dutch and German.